Hi, can Bulb supply smart meters, and are there any discounts available? We're getting pretty close to starting a trial for both smart meters and energy monitors. Would you be interested in being part of the trial? If so I can put your name on the list of people we could potentially involve. Yes please that'd be great. Great stuff. I'll add you to the list! Just so you know, I can't guarantee that we will have enough spaces on the trial for everyone who wants to be involved, so there's a chance we might not be able to involve you. We probably can, but I don't want to disappoint you later by promising too much now. Hi, I'd also be interested in being involved in such a trial! Very interested in a smart meter too! Hi @savetheplanet - great you're interested in getting involved. Will add you to the list of the smart meter trial. But on a related note - the energy monitor trial is about to kick off.. Would you be interested in being involved in that too? How is that different from a smart meter? Good question @savetheplanet - sorry not to have clarified earlier. An energy monitor is a piece of pre smart meter technology where you put a device onto your meter that sends information about your usage to your mobile device. However, unlike a smart meter which communicates your meter reading and usage to your supplier, an energy monitor is only a consumer device that provides you with the information about your usage and is not connected to your supplier. Hope that's a bit clearer! Yes very interested in the energy monitor too. Useful to see my usage in real time so I can cut my bills. My boiler is electric so expensive to run, although I sleep better knowing its renewable with bulb! Does the energy monitor give a KWh usage like a meter? Be interesting to see how well calibrated is monitor vs meter. Another great point and something we'd be keen to look into during the trial. Feedback on that issue in particular would be fantastic. I'll add you to the list @savetheplanet and you should be getting your energy monitor early next week. Great stuff. Hi, I already have a smartmeter from when we were with BG - if/when you do roll out smartmeters, will we be able to use the one we already have with our Bulb account? Yes, but not when we start the rollout. It will be a while after that, probably a few years to be honest. Because the regulators haven't set standards for smart meters yet, every supplier currently uses different meter types, so they're not compatible between suppliers yet. We're waiting for the standards to be set (which keeps being pushed back by the regs) before we start the rollout so that we're sure that we're installing cross supplier compatible meters. Work can only begin on making existing smart meters compatible between suppliers after this, and that's likely to be just as long a process for the industry to work out. So I'm afraid that the answer is a rather disappointing "yes, but not for ages". Once you're happy, let me know and I'll get it sent out to you. Great @jack1, I'll get it sent out today. I've just joined bulb, and would also be interested in a trial for a smart meter. Great to hear. The smart meter trial is a little way off, but our energy monitor (things that clip onto your meter and make it pretty much a smart meter) trial is well underway. We still have a few monitors left, so you're welcome to join if you'd like. Are you happy giving regular feedback on how your monitor is working? This will be posting on the community and answering surveys that we send out. If the answer is yes to both, great. I'll get the monitors sent out to you and I'll let you know how it's getting on by email. Hiya. I'd like to trial energy monitors and be on the list to trial smart meters. Both of my meters are well in range of my router. All compatible. Is there a cost attached? Nope, no cost. We will be sending you requests for feedback both in the community and surveys while you trial it, so as long as you're willing to give that feedback then great! I'll get your monitor packed up and sent out to you. I'll drop you an email to confirm when it's been sent. I'm happy to give regular feedback, and I've now finally checked, and our meters should be compatible with the requirements. I don't know if you have any left, but if you do, I'd be grateful if you could send them out to us. Perfect, you can have the very last elec monitor, and one of the few gas we have left. Can't wait to have your feedback. I'll get it sent out to you today, and follow up via email for you. Perhaps too late but can I get a meter too please? Hi @lewisandkat I'm afraid so. We don't have any energy monitors left. We'll be looking at smart meters early next year, so we'll let everyone know about them then. I'm sorry we couldn't send you a monitor though. I have just joined Bulb from Ovo - and had one of Ovo's excellent smart meters. Going back to taking manual readings is a PITA especially as my gas meter is outside, low down and exposed to the elements. If there's any way to make my life easier I will cheerfully take it up. I am, by nature, a lazy sod. So, please, if there are slots on the smart meter trial still going, sign me up. If you've restocked energy monitors, particularly for gas, please sign me up. Hi @will - will you have enough energy monitors for newcomers wanting to join the trial? We've just moved to Bulb and keen to find ways of monitoring/saving energy. hey @adman_scoop, yes we've certainly got enough energy monitors for newcomers... would you like a dual fuel monitor or electricity only? I've been a bulb customer for a few months and am interested in trialling the energy monitor (electricity only) and smart meter (when available). @kberry sure, we'll be sending them out this week. I'll make sure to include you. Hi, I'm also a new customer interested in a dual energy smart meter if possible? Sure thing @adamturner, we'll send them out later this week. Another new customer. One more if possible - dual fuel. I've checked my meters and they seem to be compatible. Hope it's possible. Run an office from home so the electricity meter will be particularly useful, I hope. Hi - yet another new customer. Please could I get dual fuel energy monitors. Sure thing @signup we'll send it out today for you. Yep, no problem. Before we send them out though, please could you confirm that your meters will work with them. Take a look at https://www.your-loop.com/faqs to find out. @will - yes the Gas meter appears compatible, and both meters are within range. Great, we'll send them out for you today then. Hi Will, +1 for new customers after dual fuel monitors. Both my meters appear to be compatible. Righto @johnsammon, we're heading towards the end of this batch, so if I can't fit you in it you'll be top of the next one. I'll let you know when I know for sure. Hi. I'm going to get a smart meter in the coming months from ecotricity or I can switch you. What is timescale for your energy monitors? If it's soon then will swap over. Hi @greensleeves, the next batch will be sent out in a matter of weeks, so it won't be too long. Hi, just joined Bulb renewable.Can you count me in next time you roll out smart meters and monitors please? Will do @iko. I'll add you to the list and let you know when we have some in. Haven't received anything yet, so I just wanted to check the status? @kberry It looks like I managed to not send your email. Sorry about that. I'll send it now. Hi @crimp I'll definitely let you know when we get more in. We should have some soonish, so I'll add you to the waiting list. Hi - I've just joined Bulb for dual fuel and would, if possible, like to join your monitor trial when monitors are available and also when available to use smart meters. I have looked at the info re compatibility and believe that our meters are suitable for the Loop system. Hi @keith_howiemailer - That's great news thanks for letting us know. I'll make sure to put your name on the list. As @will has said above: we should be getting some energy monitors in soon and we'll get them out to you as quick as we can. Hi, please can I join your trial of smart meters? I'm on a fixed period tariff. Hi there, I too would very much like to join the energy monitor trial if possible, when you get them in. I have checked and my meters look to be compatible. Thanks! Hi @deeplyblue - I'll make sure to add you to the smart meter trial list. Thanks for your interest! Nice one @lewisscroggie - I'll make sure you are on the list and get it out to you asap. Thanks so much for your interest! Okay @rik_sprint, no worries. I'll add your name to the list. Thanks for letting us know. Hi , if there are any more monitors, I'd be keen to have them for gas and elec. Our meters are compatible. Thanks! Hi @chrisv - great stuff. I'll make sure to add your name to the list and get them over to you as soon as we get some more in. Thanks for your interest! Hi, I would like to sign up to the smart meter trial. Thanks! Sure thing @seb. We'll put you down for it. It will start some time next year. Hi @matthewb, I would like to sign up to the smart meter and energy monitor trial if possible please. Many Thanks. No problem @cezzaedwards. We don't have any energy monitors available at the moment, but we'll add you to the list of people to get them when we do. We'll start smart meters next year, so keep an eye out for that. Hey matthewb, any chance I can get in on this smart reader action? I'm not particularly interested in the monitoring device (presumably a smart meter gets you monitoring as well? ), but I'll take what I can get! Sure thing. We'll put you down for smart meters @mongolia, but just know that we won't start smart meters until next year, so it might be a little while. Hi there - I've recently switched to Bulb and I'm about to move house so I was wondering, would it be better to go with EDF to start with at the new place, get a smart meter and then switch to Bulb? Or are smart meters provider specific? We can't read other supplier smart meters at the moment @joewere, so that wouldn't work I'm afraid. There's a big industry project aimed at allowing suppliers to read other suppliers smart meters, but it's been delayed several times, so who knows when it will be finished. Hi, I am a new bulb customer, but also an existing Nest user and technology user. I would be really keen to take part in the energy monitor trial. Is there any chance of getting a device sent out please? Hi, Could I have a smart meter (dual fuel) as well please? Meters seem compatible. Hi @craigmarshall74 and @sjde - No problem at all. I'll make sure to add you both the list and get a device out to you as soon as possible. Have a great Monday! Hi, I am a new Bulb member too. Please can I have a smart meter (dual fuel) please? Sure, we can add you both to the list for the smart meter trial next year @robsmith @tomhayllar. If there's space to get you on it then we'll let you know! Hi I am a new customer from today, can I please be added to the list for dual fuel? Yep @rachelsfriends if we have space on the trial when we start it we'll let you know. The trial will start summer 2017. Sure @rich673 we've added you to the list. Hi there. I'm another new customer who would love to be included in the smart meter trial. Could you also add me to the list please. Thank you ! @ederancz and @helenadakin We'll add you both to the list for the smart meter trial and we'll let you know if we have space. Hi @will, I would also like to be included in the smart meter trial. Thanks! @will, can we please be included in the smart meter trial? I'll add you all to the list of people who are interested. If we have space, we'll let you know! I would be interested too please. Righto @teadriven. We'll keep you in mind for our trial next year. PS: excellent name. I drink far too much tea for it to be healthy. Thanks @will. 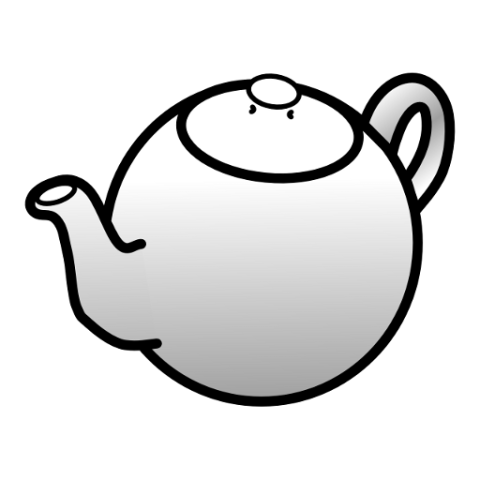 I'm a tea powered software engineer and it seems my avatar was automagically linked here too! @teadriven, our community uses gravatar, so if you've uploaded an avatar to another community that uses the same system it will pull the same picture through to here. Very fitting too! Could we please be put on the Energy Monitor and Smart Meter trial lists? @eleandblake, of course. You've been added to both right now! Could I also be added to the trial list please? Thank you! I would also like to be added to the trial list, thanks.